‘Tis that time of year again! 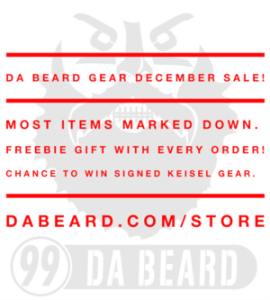 Time for our annual December Da Beard Gear Sale! Most items have been marked down and we’ve added a few new items! Chances for autographed Keisel Gear…of course! Click on the image above to enter Da Store or click HERE. 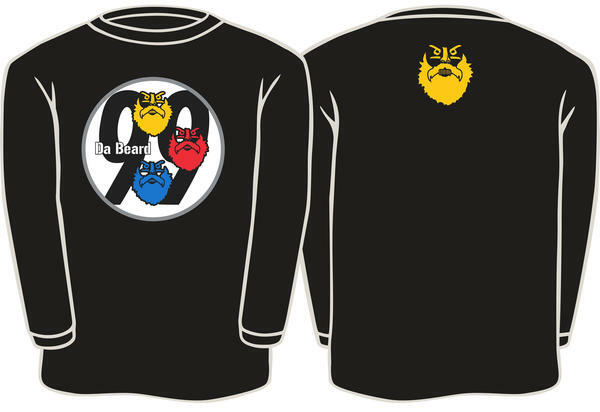 As in years past, we will be throwing in a freebie with each order and you’ll be automatically entered to win some very cool autographed Brett Keisel gear at the end of December. “Oh, Christmas Beard, Oh Christmas Beard!” ‘Tis the season for ugly Christmas attire, and we’ve done our part to and provide a little bit for you. 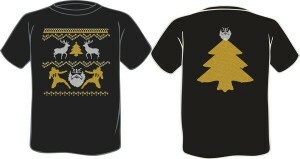 New to the store is a long sleeve tee. 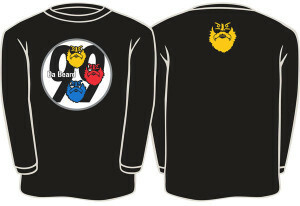 Front of tee has Da Beard circle logo screen printed with Da Beard logo screen printed between the shoulders. We had a lot of requests to bring Da Beard beanies back and we listened! 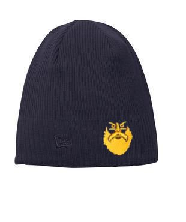 This beanie is black with Da Beard logo on the front and Keisel 99 on the back. Click HERE to get shoppin’!